Despite being held in solitary confinement for years, men known as Kinetik, Dhati, and Brother M, primary leaders of the Free Alabama Movement, have been instrumental in organizing a statewide prison work stoppage in Alabama that began on Sunday, May 1. Currently, the prison labor strike has begun at Alabama’s Holman, Staton, and Elmore Correctional Facilities. St. Clair’s stoppage will begin on May 9, with Donaldson and other correctional facilities to follow soon after. The current plan is for the work stoppage to last 30 days, although the Movement’s leaders said the length of the strike is contingent on the cooperation of legislators in regard to reforming the prison labor system and the conditions of the prisons. 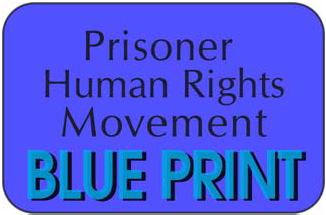 The Free Alabama Movement is an activist network of incarcerated men, spanning numerous state prisons across Alabama. Additionally, the entire populations of Alabama’s striking prisons–including the general prison population not usually in 23 hour a day segregation–have been placed in indefinite solitary confinement. A statement released by the Alabama Department of Corrections calls this a “lockdown with limited inmate movement” that will persist “while ADOC investigates the situation.” Holman was also placed on lockdown in March following an uprising in which a correctional officer and the warden were stabbed after intervening in a fight, and prisoners briefly set fire to hallways. The prisoner work stoppage is a nonviolent protest against many of the conditions in Alabama’s prisons, especially against the unpaid prison labor that makes money for private companies and the state of Alabama. During the stoppage, Alabama’s incarcerated will refuse to leave their cells to perform the jobs that they usually perform each day for little to no pay. These range from the many jobs that allow the prison to function (such as serving food) to “industry” jobs (which allow private companies to profit off of prison labor). These “industry” jobs are the only jobs in Alabama prisons that pay at all, though the pay rates are negligible, ranging from $0.17 to $0.30 an hour. At Holman, the industry jobs are done at the tag plant that makes license plates for the state of Alabama and the sewing factory that makes sheets and pillowcases for Alabama’s state prisons. Elmore contains a canning and recycling plant, and St. Clair contains a vehicle restoration and chemical plant that, according to the Free Alabama Movement, produces more than $25 million worth of chemicals a year. The use of prison labor in Alabama by private, for-profit companies was legalized by the Alabama state legislature in 2012. “We are going to put our prisoners to work. They are going to be paid a reasonable wage,” Alabama state representative and bill sponsor Jim McClendon told AL.com at the time. Since then, Alabama has developed 17 different prison labor industries at correctional facilities across the state. Alabama’s incarcerated are regularly charged what they call “outrageous fines” and fees, despite the fact that they are paid nothing, or only a few cents an hour, for their labor. “Our mass incarceration is a form of slavery, because we’re not being paid for our work, but we’re being charged outrageous fines,” one man told Solitary Watch. Required fees include $4 for armbands, $4 for identification cards, and $31.50 for a urinalysis test. Prisoners are charged $200 to petition a court, which is their only way to file a complaint, since Alabama’s prisons have no grievance procedure. Incarcerated individuals are also charged $25 dollars for being caught with a cell-phone the first time, $50 the second time, and $75 the third. The fine goes up by $25 each time, despite the fact that correctional officers sell the phones to prisoners, and that the phones are primarily used by the incarcerated to contact their families. These families are required to cover the costs of these fines and fees incurred by their loved ones inside, since prison labor is unpaid or barely paid. “This is extortion; there’s no other way to put it,” said another man. Last Thursday, Glasgow visited the statehouse in Montgomery to speak to state legislators about the work stoppage and the Movement’s demands. Glasgow told Solitary Watch that he will also be back in Montgomery later this week. He said that he had already received supportive comments from the state legislature’s Democratic caucus. 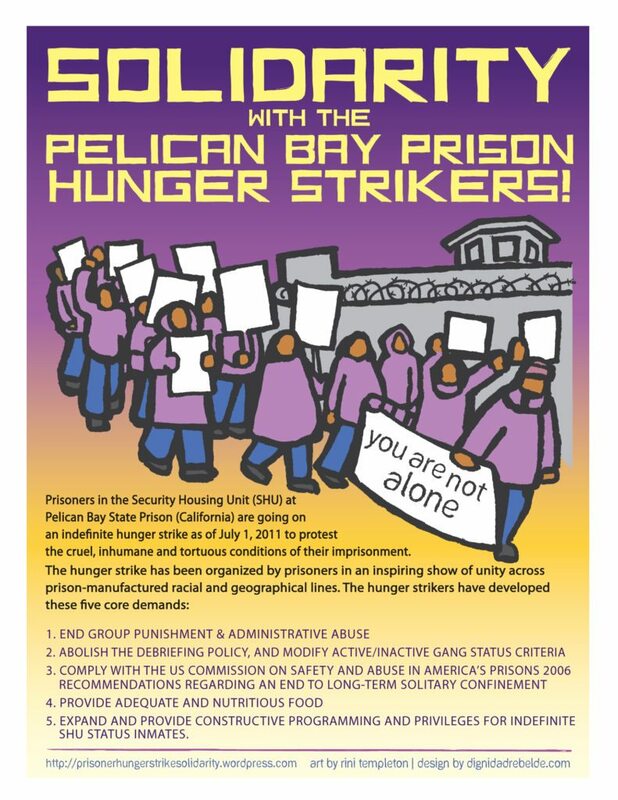 What the movement calls their “deplorable conditions of confinement” refers not only to the cleanliness of the cells, but also to the negligence those in solitary confinement experience. Every cell in the solitary confinement unit at Alabama’s Holman State Correctional Facility is equipped with a call button, to be used to summon prison guards for help in an emergency. Despite their apparent function, these buttons fail to send a signal to the guards or elsewhere, so prisoners’ requests for help often go unheeded.